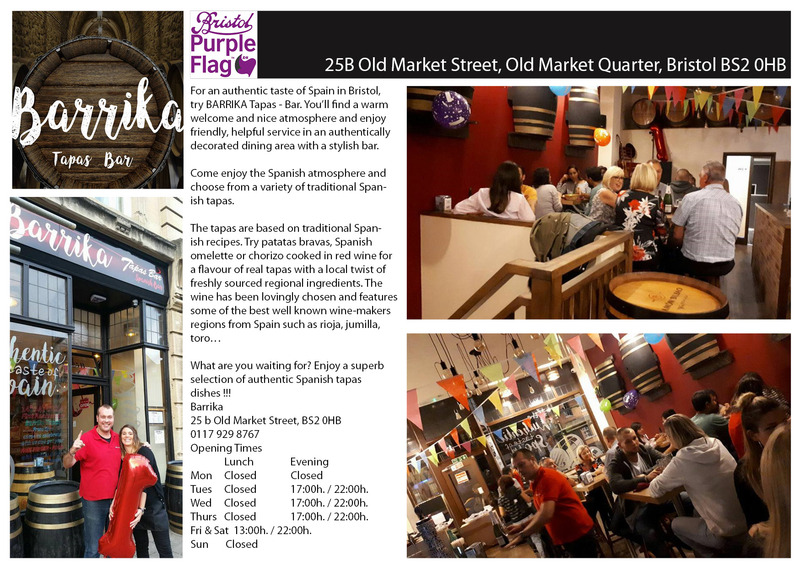 For an authentic taste of Spain in Bristol, try BARRIKA Tapas – Bar. You’ll find a warm welcome and nice atmosphere and enjoy friendly, helpful service in an authentically decorated dining area with a stylish bar. Tues Closed 17:00h. / 22:00h. Wed Closed 17:00h. / 22:00h. Thurs Closed 17:00h. / 22:00h. Fri & Sat 13:00h. / 22:00h.